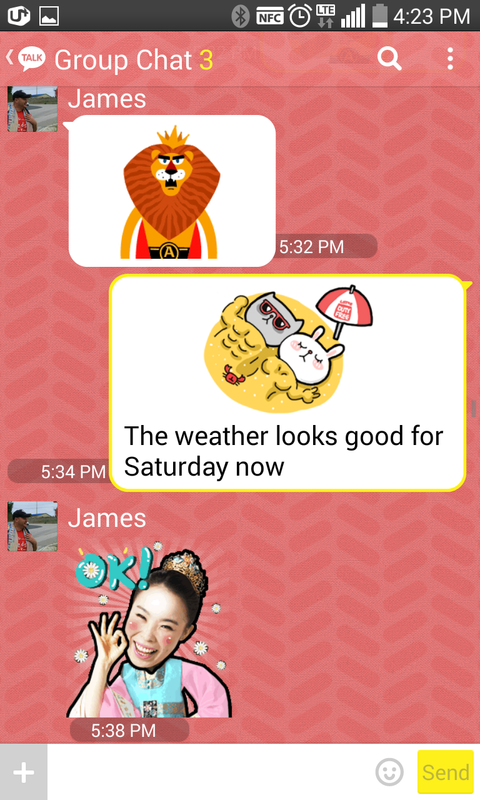 While regular text messages are pretty much the standard in America, just about everyone who lives in Korea uses a program called Kakao Talk instead of standard text messaging. 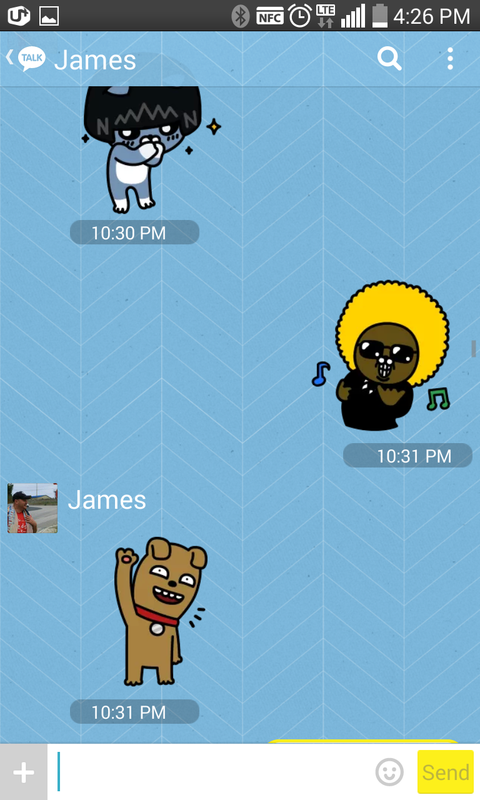 Kakao is an app that allows you to text/call others for free. I've come to love Kakao for many reasons, especially since it allows me to text friends and family back home for no cost whatsoever. 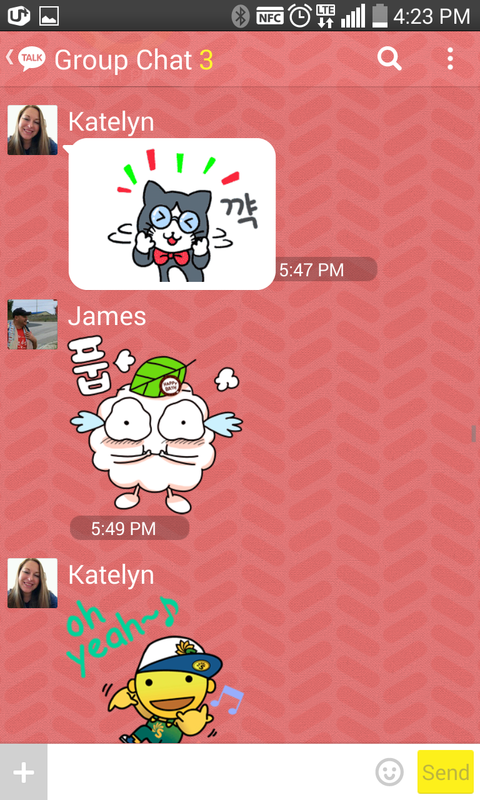 However, I think besides the easy and free communication, the other reason I absolutely love Kakao is because of the plentiful EMOTICONS! 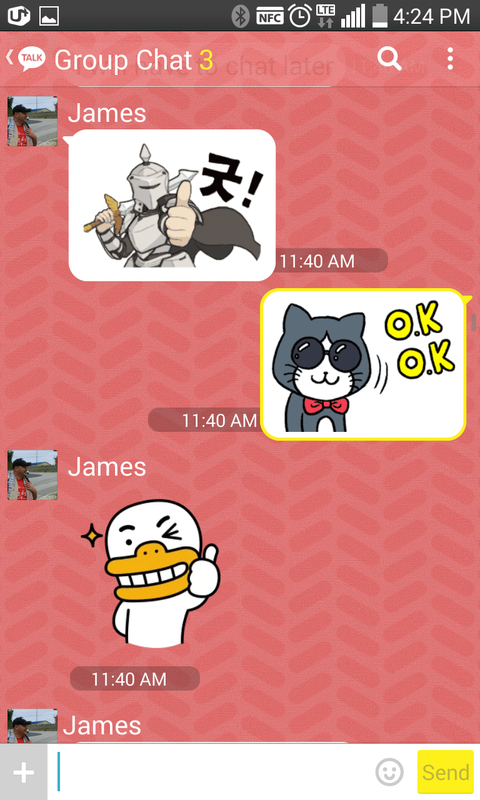 Yeah, iPhones have emojis, but emojis have NOTHING on Kakao's emoticons. Seriously, there are emoticons for any emotion you want to express. Plus, companies often make emoticons that can be downloaded for short amounts of time (usually 45 days). Of course, you can buy emoticons too, but it's totally not necessary because there are always tons you can get for free. All in all, Kakao is absolutely my lifeline to my friends here in Korea. I don't even want to say how many texts I spend during the course of one day (I think this is just what happens when you can't communicate with your co-workers and you have a ton of time to just sit around at your desk). However, it's the little things that keep life interesting, and the little extra entertainment of new emoticons always helps break up the monotony of a day. I can't help but wonder: how will I ever go back to boring imessaging?